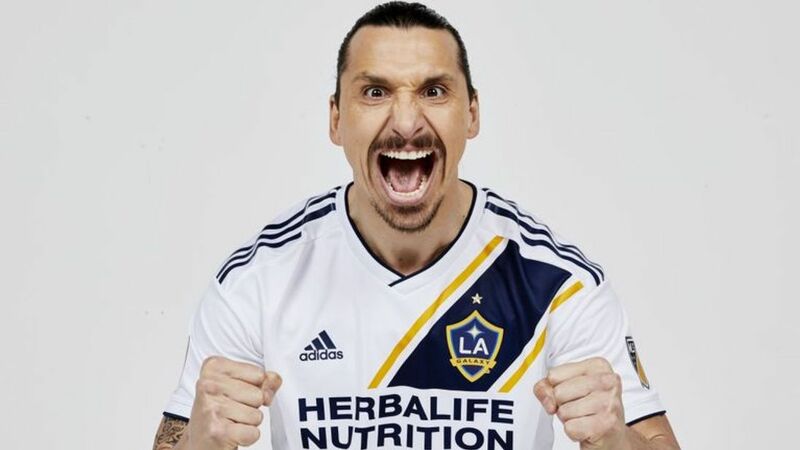 Los Angeles Galaxy have confirmed the signing of Zlatan Ibrahimovic - with the Swedish striker taking out a full-page ad in a newspaper telling the city: "You're welcome." Manchester United agreed to the mutual termination of Ibrahimovic's contract on Thursday, paving the way for the 36-year-old to complete his move to California. Ibrahimovic says he is convinced the switch to Major League Soccer club Galaxy is the ideal move. "I decided to sign with Galaxy because I think it's the right place for me," he said. "I think I have a lot to give, I can help them a lot. It's the best team in the US. There were no doubts." In typically flamboyant fashion, Ibrahimovic took out a full-page advert in Friday's LA Times in advance of a formal announcement.